Since retirement, however, I’ve surprised myself by engaging in several pursuits that do qualify as disinterested and public-spirited. And I’ve come to realize that, after many years of receiving, it’s extremely satisfying to give something back. I heartily recommend it to anyone who’s looking for activities to fill his or her retirement days. 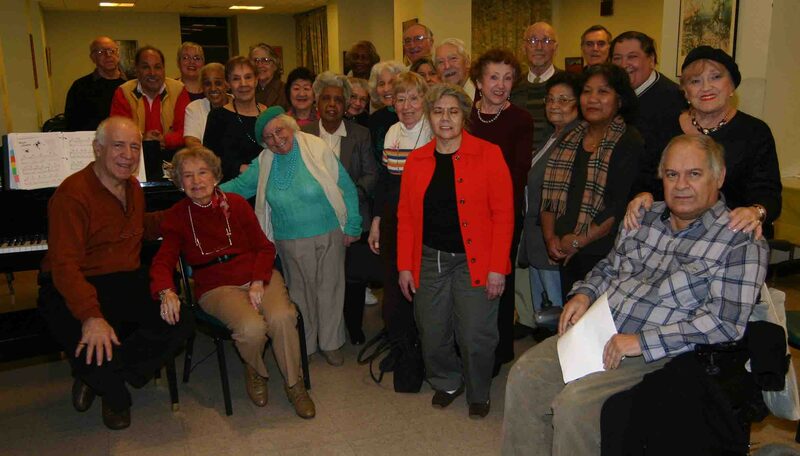 Over the last decade, at least once and often twice a week, I’ve been playing the piano for singalongs at three Manhattan senior citizen centers. At my weekly gig, there’s a steady crowd of about 30 singers who come in from all around the city (and one fellow even travels from Philadelphia). Some have fine voices and offer solos, a couple of them dance, and everyone joins in with enthusiasm. We’ve also made two compact disc recordings. The seniors give me timely feedback, convey affection, and let me know how important this outlet is in their weekly lives. But it’s not only working for them – it also provides me with a real sense of fulfillment. At Christmastime, we also try to reach a different group of more aged and infirm individuals, who are pretty much confined to their own apartments in a building that houses one of the senior centers. Fifteen or so of us, dressed in crimson choir robes – and with me leading the group playing a portable instrument called a melodica – start at the top floor and go down the halls and stairs, singing carols and knocking on doors trying to bring a little cheer to the tenants' otherwise dreary lives. The doors open one by one, and you can see the gratitude in their expressions and reactions – somebody has remembered they exist. 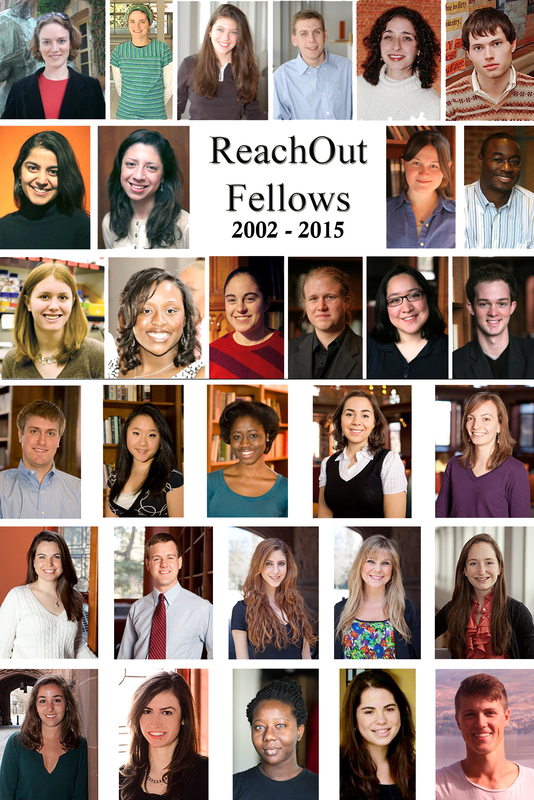 My other major pro bono interest is helping to run a foundation (called ReachOut 56-81-06) sponsored by members of my Princeton class of 1956. I devised a plan, and lead the charge, for the foundation to award one-year fellowships, funded by class members, to graduating Princeton seniors who devise a public service project they’ll undertake for a deserving but needy organization that wouldn’t otherwise be able to afford these bright young graduates. Here are some of the projects undertaken over the past 13 years. Dealing with the rehabilitation of survivors of torture who have sought asylum in the U.S.
One of the things I missed most when I retired from my law firm was mentoring young lawyers. This ReachOut project gives me an opportunity to have some meaningful contact with young people of real quality. 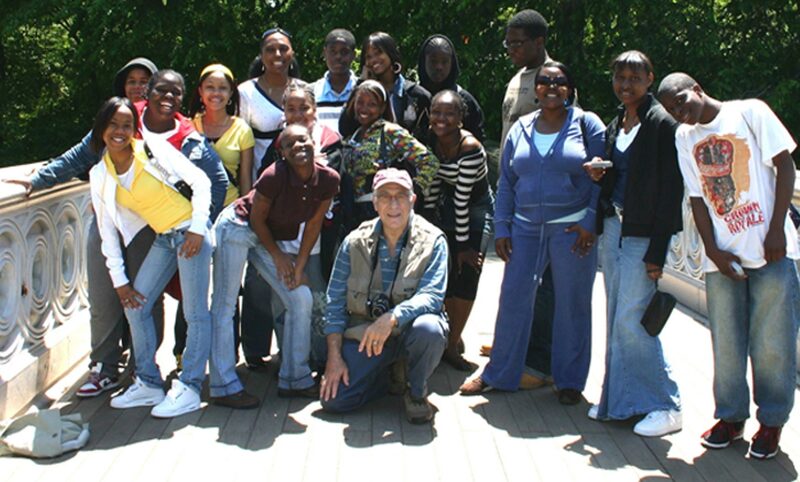 Our class foundation also does some significant work in inner city high schools, priming kids on the value of a college education and helping them to apply. I saw an opportunity here for a different kind of stimulation. 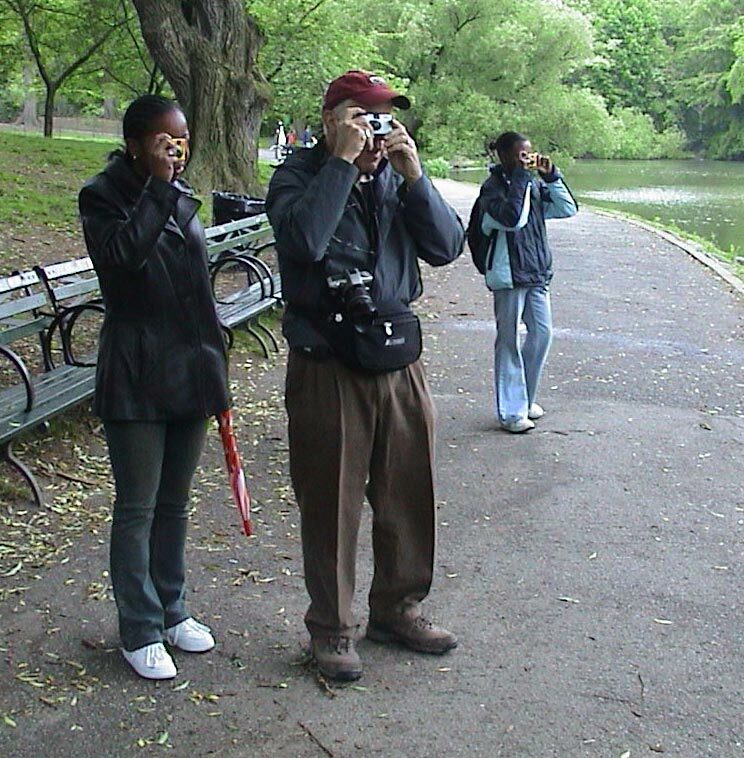 For a number of years, I took groups of 20 students on a photographic tour of Central Park. (Many of the Brooklyn youngsters had never even been to the Park before.) We furnished them with disposable cameras (now, believe it or not, digital ones), and I tried to instruct them on some basic points of photography. They shot enthusiastically till there was no room left on the photo card. Then I had the results printed, selected each person’s best shot for a large montage that was mounted in the school, went to the school to give them positive feedback on what they had achieved, and awarded a special prize to the student taking the best photo. It was beneficial for them and a thrill for me.